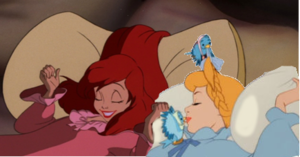 Cinderella and Ariel sleeping. My first crossover! This was the only thing I could think of right now. Wallpaper and background images in the disney crossover club tagged: photo. Boy this love is supernatural, can u feel it? 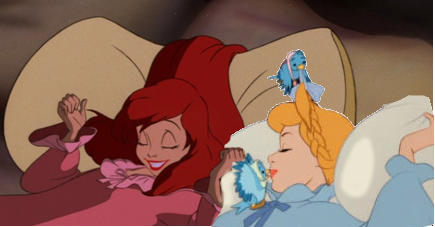 Ariel My Darling Will u Marry Me? "Do u Believe In Fairytales?" Good job on your first! Oh very chic I like it!